Copyright � 2015 by Science Writers. All Rights reserved. We do our thorough research, and then write high quality articles. It is almost impossible to search for information on the Internet without finding at least a few dozens of relevant results! 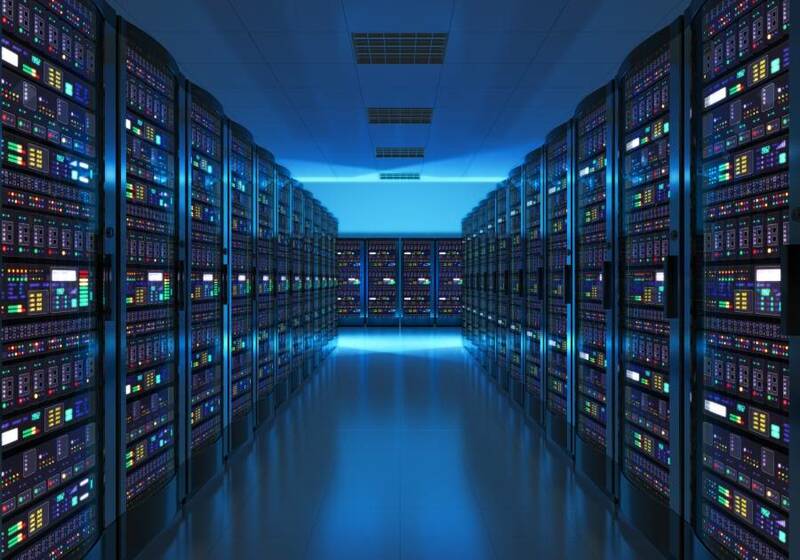 Big Data specialists estimate that close to five zettabytes of data are stored on the Internet, on various servers. And a zettabyte equals no less than a sextillion, or 1,000,000,000,000,000,000,000 bytes! This shouldn't come as a big surprise for people working in the information technology industry, though. YouTube users upload close to 50 hours of material every minute. And Facebook users upload no less than 100 terabytes of data each day. It looks like things won't cool off in the near future either! By 2020, people are going to create and share 50 times more data than they did a decade ago. So, how are we going to make some sense out of these huge amounts of information? Read this article to discover some of the best industry tools that can extract meaningful info out of them. First of all, let's define the term. Big data refers to structured and unstructured information which is available to us at any time. We are talking about huge amounts of data which are generated by people who are using their computers. But do we really need access to big data? Analysts believe that it can help businesses take better decisions. Companies all over the world that have access to meaningful data will be able to expand and increase their profits. Due to their access to technologies that utilize big data, companies like Google, Amazon, Facebook or LinkedIn are able to target their offer, recommending relevant products or services to website visitors, based on their profiles and behavioral data. To give you an example, Amazon uses this type of information to suggest its buyers items and services that complement the products that they have just purchased. 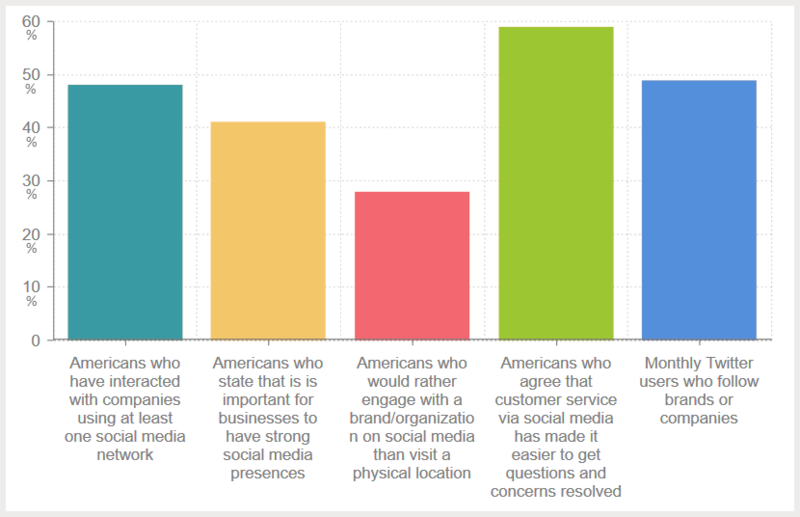 Big data can also provide sentiment analysis, helping companies interpret social media posts from their customers and fans - Tweets or Facebook posts, for example. Sentiment analysis can offer precious insight when it comes to attitudes and emotions that are triggered by a particular brand or product. Banks are also making heavy use of big data. Their goal is to analyze a huge volume of transactions, and then be able to identify potential risks that are associated with potential market changes. This way, financial institutions can prepare in advance for all sorts of unexpected scenarios. Credit card companies also utilize big data for fraud detection. They use information related to a particular customer's behavior and his / her past transaction history to identify any irregularities, which may indicate that the used credit card was stolen, for example. It would be almost impossible for the company employees to monitor so many transactions without making use of computers that analyze big data. Often times, businesses use big data to determine their customers' behavior. This way, it is easy to find out if a particular customer wants to choose the products or services provided by a competitor, for example. By taking action early on, companies can implement successful strategies that have the potential to keep their customers loyal. Big data can be analyzed using specific tools. One of them is Apache Hadoop, a framework that can be used to store and process huge amounts of data. The tool can be run on local servers, or can be used to perform data analysis in the cloud. Hadoop is a highly scalable application, but it can size down whenever it is needed. If it detects that a server isn't running properly, it will not run on it. It's a feature that significantly increases reliability. Apache Spark is another popular option, and has recently gained a lot of popularity. It offers a flexible API, and just like Hadoop, it includes fault-tolerant features. Tools like these can help not only huge companies, but also small businesses read, organize and interpret large amounts of data. The results can then be used to take sound business decisions. Any responsible business is now using social media for marketing purposes. Here are some key SM statistics, according to Data Alliance and Hootsuite. But just like any other marketing medium, social media has its pros and cons. Facebook can help you promote products and services in front of highly targeted people, for example, but it can also be a time waster, which detracts you from real work. Read this article to discover the key positive and negative aspects of social media networking. Let's start with the top five pros, shall we? If you've got a low marketing budget, you will be glad to find out that the key social media platforms can be used for free. Of course, if budget isn't an issue, you can use the paid options to narrow the search to your niche, while expanding your visibility. If you've got a brick-and-mortar store, your target market is limited. But if you can ship your products or services worldwide, social media will be of great help, because it allows you to connect with people from all over the world. Companies used dedicated support systems in the past, and many of them still do it today. But now, most people prefer to contact companies using their Facebook or Twitter accounts. It's a transparent way of doing business, and it shows prospective customers that you are ready to support your products and services. Content creation is a key marketing strategy, but if your content doesn't reach your potential customers, it is useless! Through social media, your content has the potential of reaching lots of people. Even a standard, but well-timed blog post can become viral and have a huge impact on your bottom line. Unlike email, social media conversations are more personal. Your customers will be able to interact with your personnel at a more intimate level, and this will help boost their loyalty. Here are the top five social media cons. Yes, social media platforms can be used without investing any money into them. But if you go the free route, you will have to spend a lot of time online to see results. And if you don't hire a specialist to do it for you, it means that you will have less time to take care of the daily business activities. Once that you have started promoting your business on social media, you will have to stick with it; otherwise, your potential customers won't trust your company. Social media sites come and go, and this can cause problems. Giants like Facebook aren't going anywhere anytime soon, I guess, but even sites like these change their features every now and then. You could invest a lot of effort into promoting your business on a particular platform, only to discover that your reach (the number of people who can read your messages) has been limited to less than 100 people, for example. Many companies have lost revenue because of a single mistake - an uninspired social media post. While replying with a passive-aggressive tone to an unhappy customer email is always bad practice, posting the same reply on social media can have devastating effects on your bottom line. There are lots of social media Key Performance Indicators (KPIs), but the hard truth is that none of them can accurately measure your company's social media-based return on investment. Your Twitter account may have thousands of followers, and yet fail to help the company produce revenue. Or, your company's social media accounts may be extremely popular, but not amongst people who are interested in your offers. When it comes to SM, it is difficult to measure and demonstrate ROI. Regional markets and cultures can be quite different, so a message that sends a good vibe in a community may be out of place in another one. The ideal solution is to create different social media channels for each region that you are serving, but things can quickly get out of hand. It can be difficult and time-consuming to manage so many channels at once. These are the key pros and cons of social media. SM can be a powerful marketing channel, but it won't yield extraordinary results for any type of business. My advice is to start small, and then, if social media works for you, invest more time into it. Did you know that close to 4 billion people search Google each day, looking for answers for their questions? That translates to about 70,000 searches per second, and these searches use almost 50,000 GB of Internet traffic. 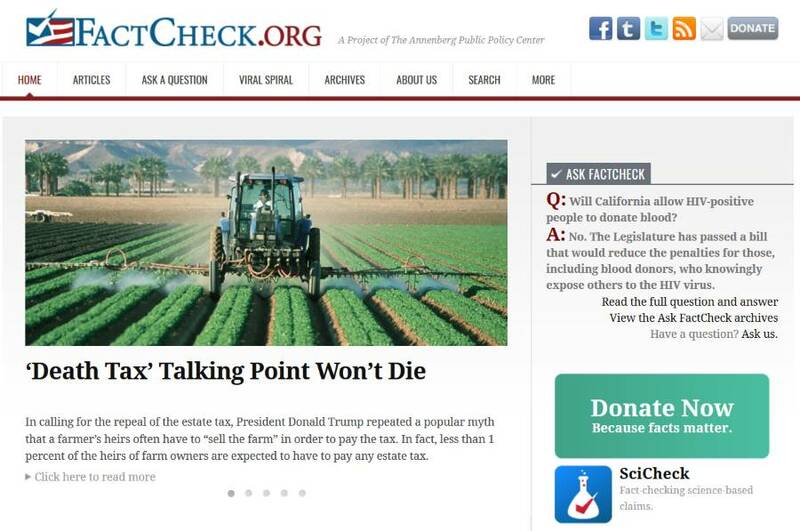 Here are the best fact-checking websites that will help you verify the authenticity of the information that can be found online. If you ever get intrigued or confused while listening to the US politicians' declarations, this site is one of the best ways to verify facts. FactCheck analyses various TV ads, TV programs, interviews, speeches and news, helping people get a correct perspective. The website was created at the Annenberg Public Policy Center from the University of Pennsylvania, and it has managed to gain and maintain a good reputation during its 15 years of existence. This website has gained the reputation of being one of the most trustworthy sources of information when it comes to the amounts of money that each political candidate is allowed to manage. The site is run by the Center for Responsive Politics. By visiting this site, any journalist, politician or voter can find reliable information concerning the way in which finances flow in the political world. Have you ever discovered that something you believed to be true all your life was nothing but folklore or, even worse, a plain, outright lie? 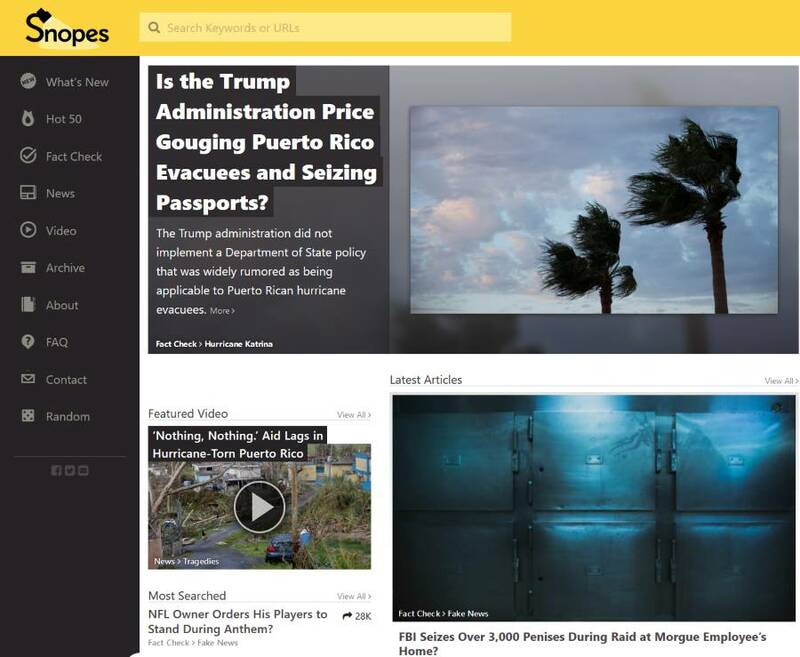 Snopes.com started its activity in 1994 as a project of David Mikkelson, who was interested in verifying if the urban stories and legends he came across were actually true. The site has gained a lot of popularity over the years, being included in the "Best of the Web" annual list during the last decade. Whenever you want to verify if a particular rumor or gossip is true, this is the place to go to, no matter what topic you have in mind. If you have ever received a virus warning by email, only to discover later that you have been lied to, TruthOrFiction.com will come in handy. A simple website visit will reveal the truth value of those email requests, prayer requests, pleas for help or rumors that you may have received. If you have ever forwarded an email thinking that you are doing a good deed, this site can validate your actions. 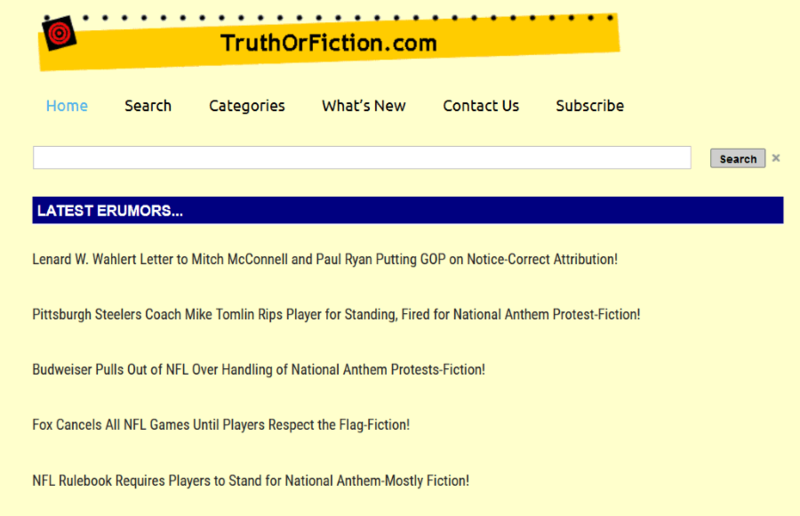 TruthOrFiction.com has split its content into relevant categories: 9/11 attack, animals, business, crime, computers, food, health, and so on. If you are interested in science, skepticism or simple love critical thinking, you should definitely add this website to your bookmark list. Why is that? Because RationalWiki describes itself as the community that works together with a single goal: to establish the truth. It currently attracts about 4 million unique visitors every month - that's the entire population of Los Angeles! 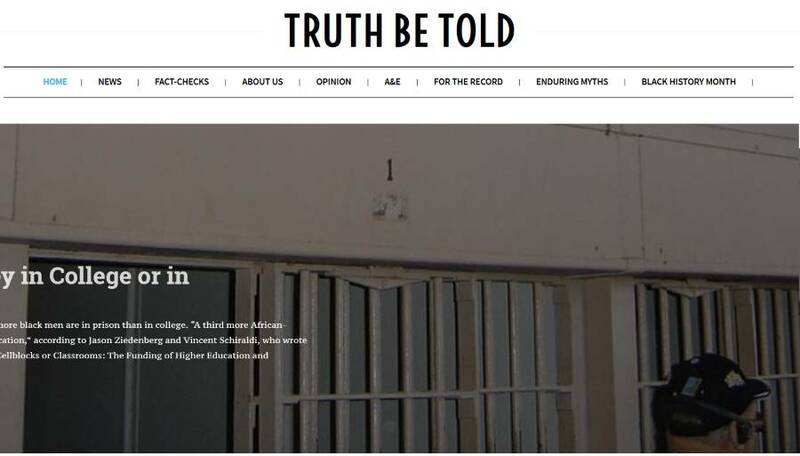 This website is managed by a team at Howard University, from the Department of Media, Journalism, and Film in the School of Communications. It is dedicated to analyzing the affirmations that are made about the African-American community in any public debate. Those who are interested in studying this matter will have access to a weekly stream of video materials, images and various articles which are carefully analyzed, and then published on the site. I hope that you will find these fact checking sites useful. From now on you should be able to verify any information quickly, whether you hear it from a friend, read it in an article, or get it in an email.